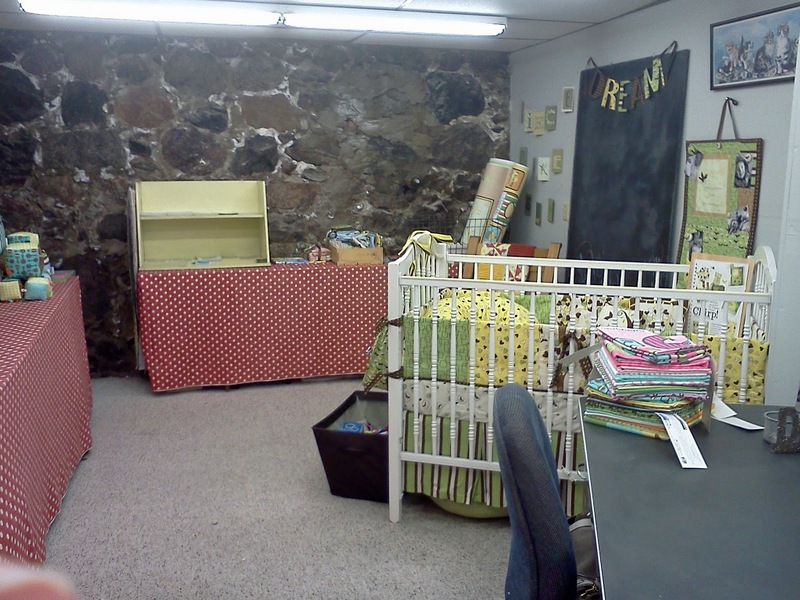 The Fat Quarter Shop is excited to welcome Katie Hennagir to the Jolly Jabber. 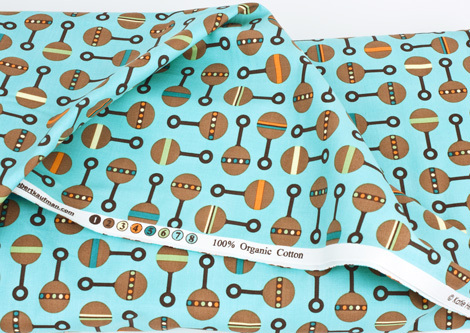 Katie’s latest fabric collection is Little One Organic from Robert Kaufman. Q: What was the first seed that grew into the Little One Organic collection? A: I couldn’t wait to dress my son Jack in all of his cute baby clothes when he was born. He had another idea in mind, and he ended up wearing bibs I created for him over his clothes. I wanted to create a collection of cute bibs in a panel that would be easy to make and stylish too! 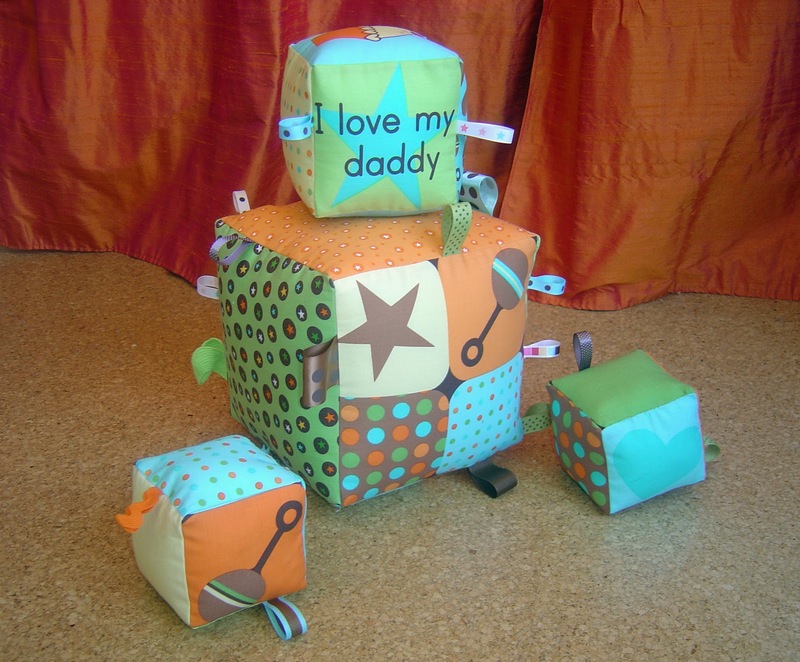 A: The baby rattles make me smile whenever I look at them. For me they are the perfect mix of cute baby print and modern design. 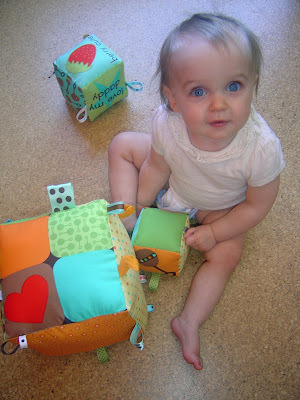 A: Right now I am a bit obsessed with making the soft blocks. They are a great way to use up the odd pieces of fabric that I have left over from making the quilts. And, they are now my go to present for anyone having a baby. A: For me it’s the combination of working with such amazing people on a daily basis and having the flexibility to do it all. I get to be an at home mom, work part time at the shop, and design whenever I get the chance. What could be better than that? Q: Can you give us a sneak-peak of your next fabric collection? A: If I could figure out a way for you to see inside my head you could definitely get a sneak-peek! I’m still working out ideas & concepts for a new line. If only there were more hours in a day…. 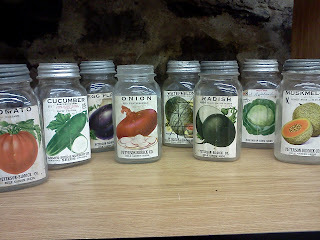 A: I have a collection of vintage jars that were part of my great-grandpa’s general store. 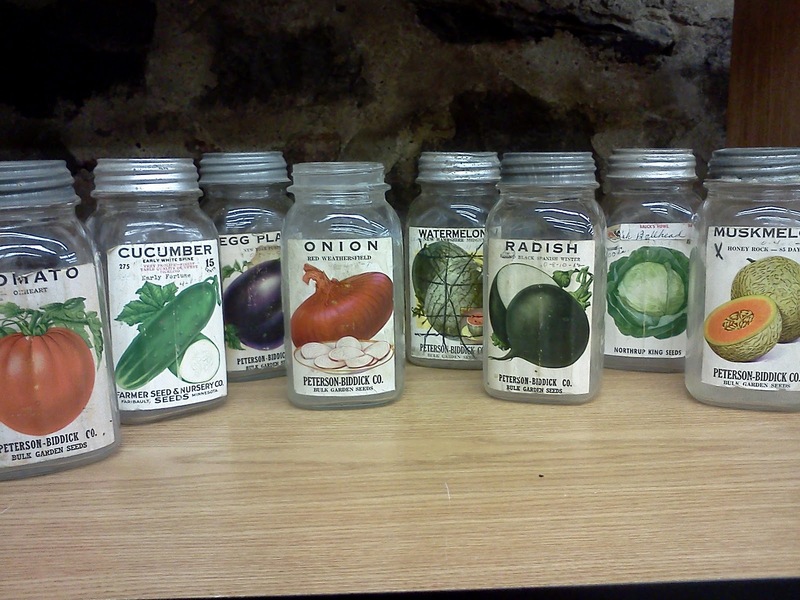 I’m pretty sure he adhered the seed labels to the jars himself and sold seed from them. I love the colors of the labels. 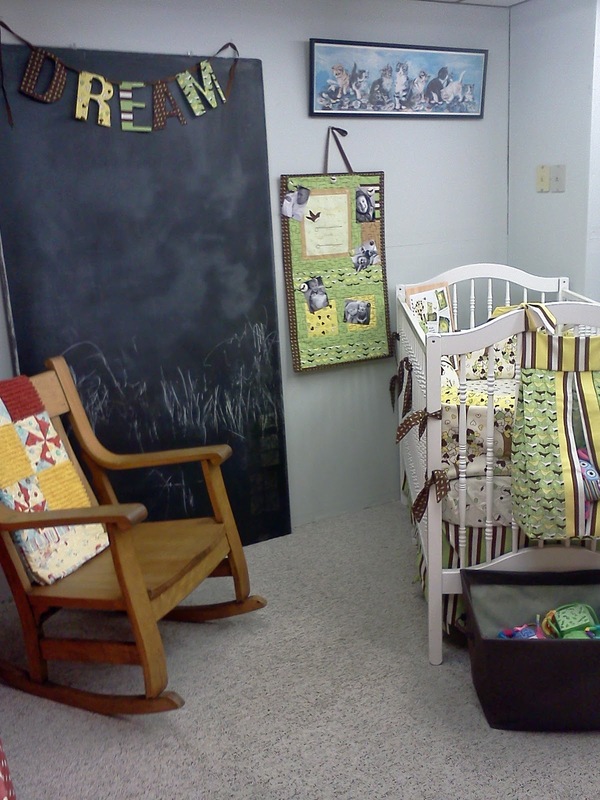 A: A couple years ago I made a small art quilt with a photo of my grandma Katy Bauck, whom I’m named after. 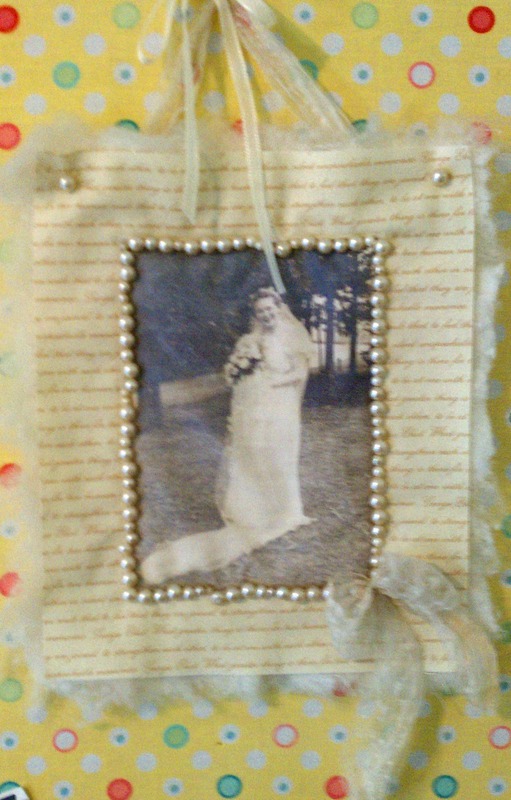 The picture is of her on her wedding day and the ribbon trim is actually from her bouquet on that day. 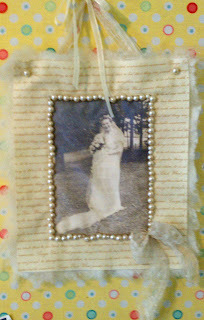 The pearls that I used to frame the picture are from her stash of beads and trim that she saved. For me it is a special reminder of someone with whom I shared a lot in common. A: I am home with my kids every morning and I find a lot of inspiration in our day to day life: their favorite Nick Jr shows, books we read, or the toys they play with. In the quiet times when we are snuggling or rocking it is amazing how the design concepts come together in my head. I also think best right before bed so I keep some paper close by to sketch out quick ideas that I can work on later. I actually have two studios. One at my mom’s quilt shop where I do most of my computer work and drawing as well as the business end of my designs. And, I do all of my sewing at home. This is my work studio. 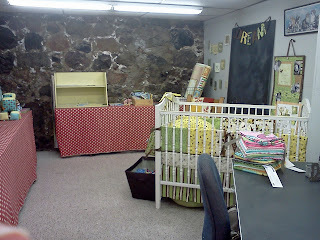 I have an area where my kids get to play because they often get to come and hang out with me at the shop. 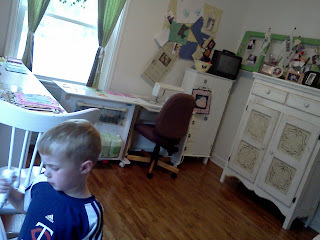 At home my studio is also a place for the kids to be creative. Jack has his coloring desk next to my cutting table. And Isabelle gets to dig through the ribbon and toys while I sew. 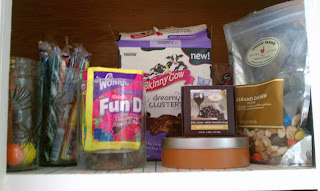 A: Chocolate and currently I am in love with Skinny Cow dark chocolate clusters. I love sweets, and I have passed this on to my children. 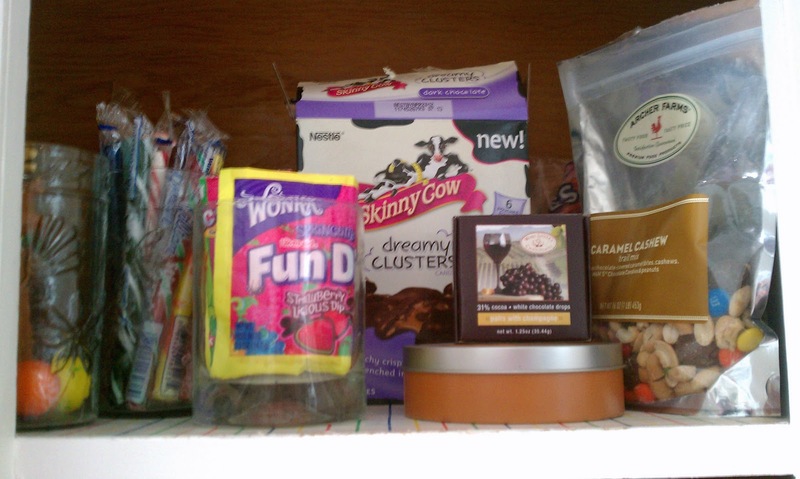 We have a cupboard in our house that is just high enough that my son needs a chair and some help to reach the candy. It is always filled up with something. A: Clothes for me or my kids. I just bought my daughter the most adorable silver shoes with a purple bird. She actually loves them too. When we see other people like Grandma or the staff at work, she will show them her shoes (she is only 18 months). A girl after my own heart!